The answer, of course, is simple. We call ourselves this because we farm the way my grandparents taught me, like their parents taught them, at least in a manner that is. Since we’re farmers in a modern, tech-filled world we have some variances, but then every generation brings its own ideas, experiences, and talents to farming. Balance is the key to life. We have found a balance that works for us between the old ways of my great-grandparents and grandparents and the modern tools available to us. 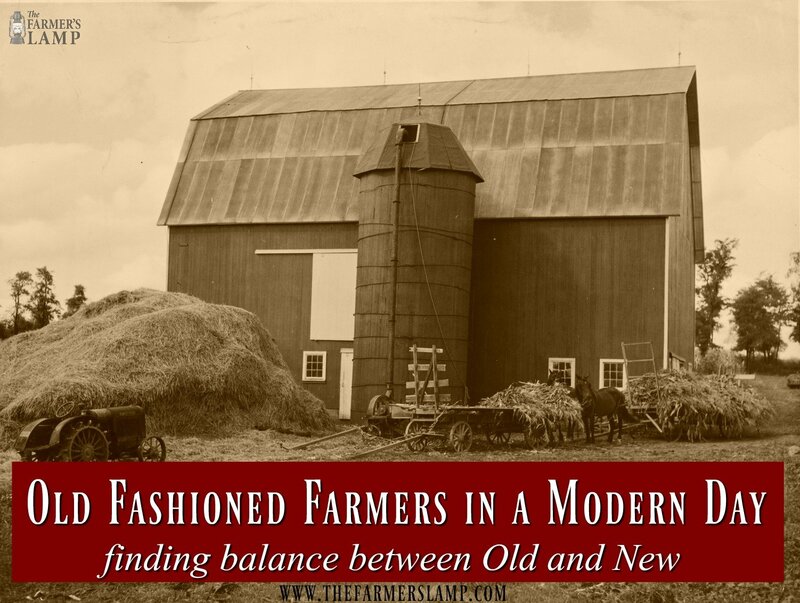 Every homesteader has to find this balance for themselves, their farm, their family. Some of the things we have to be concerned about today: GMOs; pesticides and herbicides infiltrating our farm; organically restoring abused soil; how much we want to depend on the grid; how much technology do you want on your farm … on and on we could go; our grandparents and great-grandparents didn’t have to deal with and wouldn’t believe the mess we’re in. Their seeds were natural, organic seeds just because that’s what they planted, those are the seeds they harvested, and the cycle repeated itself. They took care of the soil because that is how they fed their families and earned a living. Some of us, and I often wish I was one of them, are completely off-grid. They live and work the way people did 75 to 100 years ago. 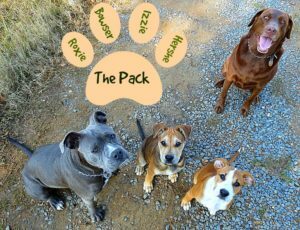 You won’t read much about them because, well, they’re off-grid. Some are like me, in the middle. 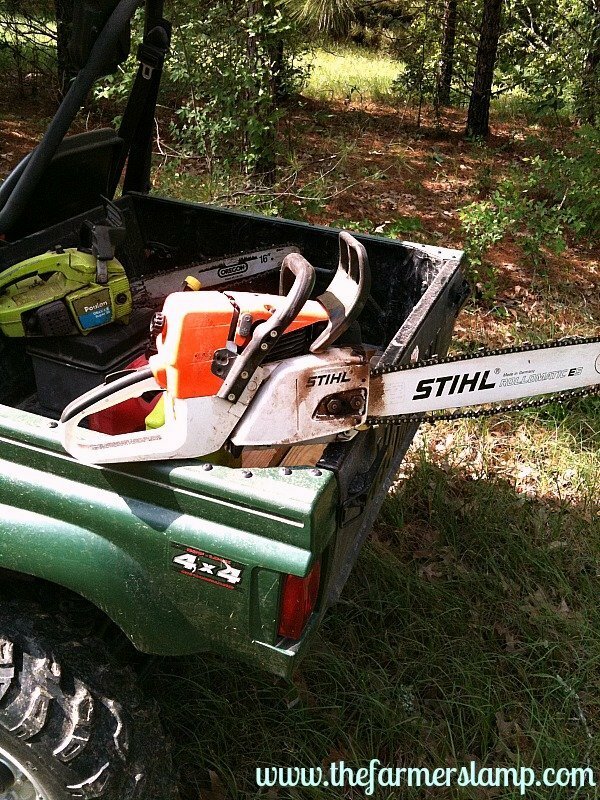 We use the same farming principles that our grandfathers did while using tools like planters, chainsaws, wood splitters, broadforks, and others they may not have had available. Careful to do this using common sense and keeping the goal of self-sufficiency in mind. We believe in being stewards of our land, not possessors and users of it. And prefer to use the old timers’ ways of fertilizing and soil maintenance. It works, it is good for the food, good for the soil, and good for us! There are still those others who use every modern convenience available to them. They use heavy equipment, technologically wired devices, and are heavy grid feeders. While they are the polar opposite of the off-griders, (did I just create a word?) 🙂 no one can say they are wrong for farming in their own way. 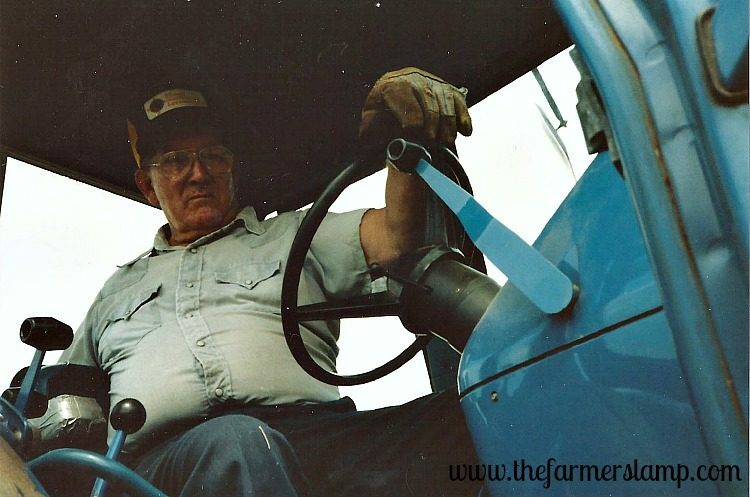 He enjoyed coming to our farm and driving the “big” tractor. 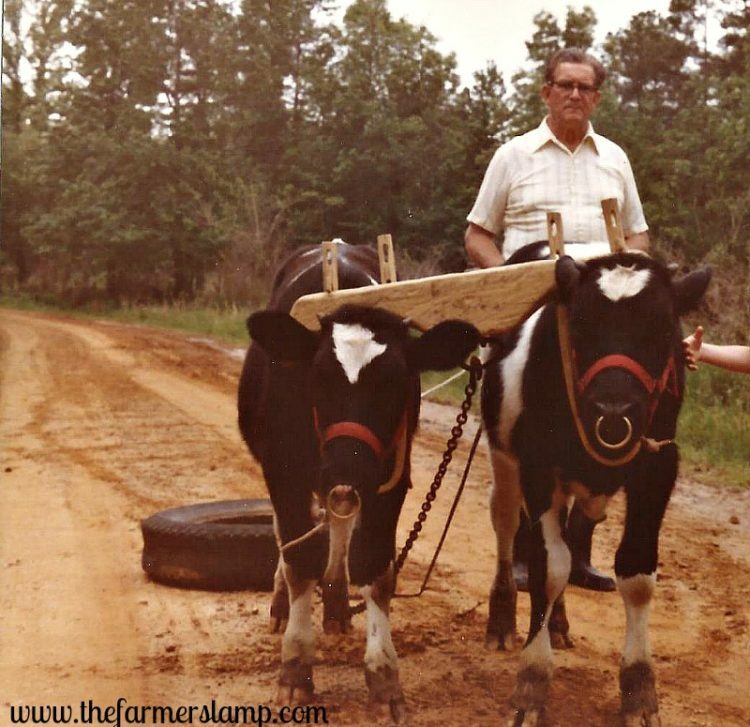 Never used a tractor on his farm, preferred his mules and oxen. He did use a power saw, a rototiller, and in the 1960s he started using some sort of welding system. No one in the family remembers exactly what it was, but I do remember it used a large tank and we were never allowed to touch it, or else! 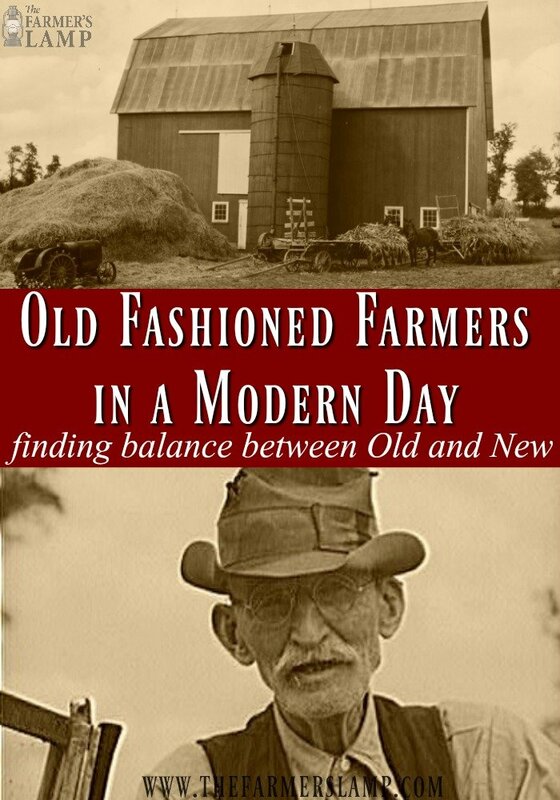 So you see, we call ourselves “new old-fashioned farmers” because we are in the middle. The main thing is to find that balance in your life. When we’re balanced, it’s contagious to others. They will ask you about the peace and the difference they see in you and want to learn from you. Sharing, caring, and passing on the ways of farming to the next generation is what it’s all about. Where do you fit in on the spectrum? Have you found your balance? Your place in the farming world? Isn’t this a rich, powerful, and intriguing to the lifestyle? Thank you Marie for your wonderful comment. You are right. I should have phrased that differently. I had in mind those many farmers who aren’t connected to the internet, who are just living their farming lives unnoticed. That is funny about the Mennonite friends. Thanks for sharing that. I used a Mennonite grammar for homeschooling my boys – Rod & Staff Publishers. Thanks again for your comment. I think this is the best way to be ….gather the best of both worlds and use that. Your ancestors would be proud and think you were so smart!